In 1666, Sir Isaac Newton stated the three laws of motion. These laws of motion can be difficult for children to understand. However, by allowing students to participate in inquiry-based lessons and activities, they can begin to understand the laws by forming new knowledge based on their explorations. With little preparation, an educator can turn the classroom into a science lab where real learning takes place and scientists are born. Teach students that Newton's first law of motion states that an object at rest stays at rest, and an object in motion stays in motion at a constant speed and in a straight line, until an outside force affects it. This is otherwise known as inertia. 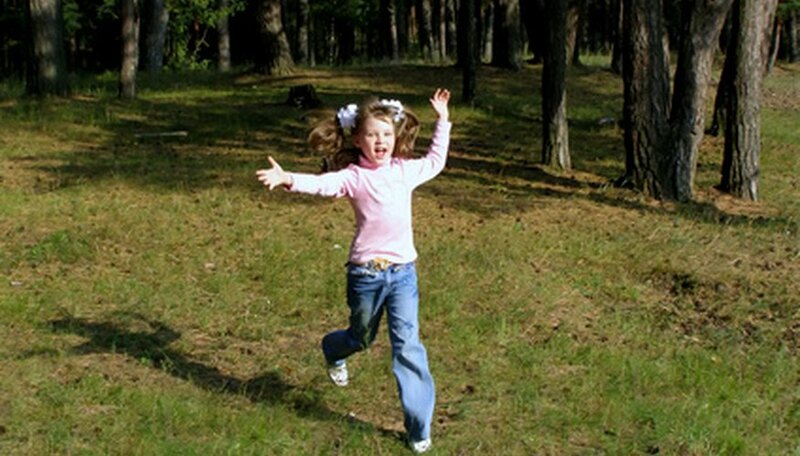 To help students understand inertia, have them participate in an activity called "Running Stop". Mark off a twenty-five foot area with masking tape or chalk. Create midway points at ten and twenty feet. After discussing inertia with the students, allow them to run the twenty-five feet to warm up. Begin the activity by allowing each student to run the twenty-five feet but ask them to come to a complete stop on both the ten and twenty feet marks. After the activity is completed, discuss with the students about inertia and how it presented itself during their activity. Even the youngest student will be able to understand that their upper body tried to keep moving even though their feet were stopped, thus understanding the concept of inertia. Teach students that Newton's second law of motion states the more force put on an object, the more it accelerates and the more mass an object has, the more it resists acceleration. Place students in groups of three or four and give each group a pulley, a rope, a gallon jug of water and a gallon jug half full of water. Hang the pulley and thread the rope through it, leaving equal lengths on each side. Have two students tie the water jugs onto each side, being sure to keep them at the same height. To begin the experiment, students should let go of the jugs at the same time and observe what happens to their jugs of water. The full gallon jug used force to pull the half gallon of water higher in the air. Have students empty the jug containing a half gallon of water and try the experiment again. Discuss with the students about how the empty jug contained less mass and was pulled upward at a faster rate. With this experiment it is clear for students about how mass affects force and acceleration. Teach Newton's third law of motion which states for every force, there is an equal but opposing force. To help students understand this law, allow them to create and explore with balloon rockets. Place students in pairs and provide the following materials: a long string, tape, a straw and a balloon. Students will tie the string to a door handle, table leg or other stationery object in the room. Instruct the students to pull the string tightly, being careful not to break it, and thread the loose end through the straw. One student in the pair should hold the straw and line, while the other blows up a balloon and holds the mouth closed to keep the air in. Students should then tape their blown up balloon to the straw and release it. Have students try the activity several times, then discuss how the balloon rocket exhibited Newton's third law of motion. The force of the air escaping from the balloon created the force it took for the straw to gain motion even though it was at rest. Shannon Hill has served as a writing liaison for educators for the past seven years. Her duties have ranged from working directly with K-5 students on writing strategies to training educators to be effective in writing instruction. She currently serves as both technology coordinator and writing cluster leader. Hill, Shannon. "Fun Science Activities for Force & Motion." Sciencing, https://sciencing.com/fun-science-activities-for-force-motion-12744481.html. Accessed 24 April 2019.